JOCKEY Andrea Atzeni flies north tomorrow (Wednesday 24 May) for his debut mount at Ayr Racecourse and his only ride of the day on Nezwaah in the £50,000 Class 1 Listed Tennent’s British Stallion Studs EBF Rothesay Stakes. The Roger Varian trained four year-old filly holds entries in the Group 1 Prince of Wales’s Stakes at Royal Ascot in June and the Pretty Polly Stakes at the Curragh in July and is making his seasonal reappearance tomorrow in the one mile two furlong contest. A winner of a Listed race on the all-weather course at Newcastle last June, Nezwaah finished last year running in a Grade 1 at Woodbine in Canada where finished down the field. She is the highest rated of the six runners today with her chief danger Maleficent Queen form the Keith Dalgleish yard who won the inaugural running of the race last year. Another notable runner is Pure Art, trained by Ralph Beckett in Andover and the mount of Fran Berry. 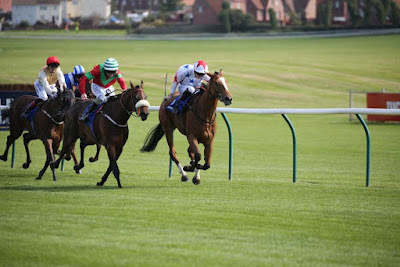 The main supporting race on the card is the Guinness Handicap over five furlongs and Jim Goldie will run Tommy G a winner at the track earlier in the month while Keith Dalgleish saddles Dark Defender. The opening race is the EBF Stallion Appletiser Novice Stakes at 2.20pm which has attracted a field of 11 runners including Mark Johnston’s Noble Manners, second at Beverley earlier in the month. There are eight races on the card and gates are open at 12.20pm.